A crisp poplin check that can be worn with a plain suit and tie or in a more ralxed way at the weekend. 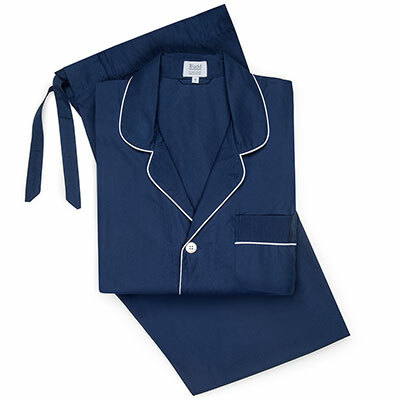 Comfortably cut in the classic English style; for a fuller fit and those whom have lived well. Neatly cut yet not skinny; tapering to afford a cleaner cut yet not uncomfortably tight. 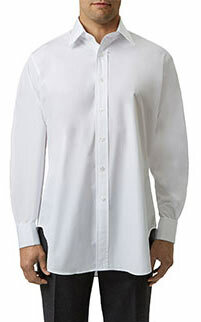 *We are able to carry out sleeve length alterations on our Classic Fit Shirts at an additional cost. Shirt Length (inches) 30½" 31¼" 31¼" 32 32 32 32 33½"
*Glove size is the measurement in inches of the circumference of the four fingers of your dominant hand. Measure using a tape measure; the tape should sit just below your knuckles and your hand should be laid flat. 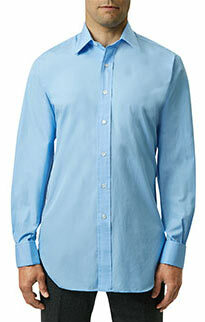 This gingham shirt is crisper than the zephyr cotton as it is cut from 2 fold 100 thread cotton poplin. The sky blue check is a medium size which makes it ideal for the weekend but can also be worn with a plain suit and tie. It has a button cuff and no pocket. Do not tumble dry as this leads to cracks in the collar and cuff.